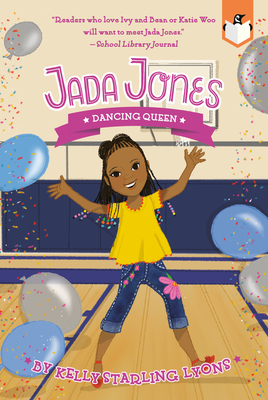 Jada Jones is back for the fourth book of this popular, celebrated series perfect for STEM fans! When the student council decides to host a dance as their next fundraiser, Jada feels nervous and queasy. She's excited to give back, but she can't dance! Still, she's determined to help the cause and show she cares. She practices her moves, gets help from friends, and even does research at the library to prepare--but will it be enough to help her create change in her community? Kelly Starling Lyons is the author of Hope's Gift and Tea Cakes for Tosh. She lives in North Carolina with her husband and daughter and son, who love collecting rocks just like Jada. Nneka Myers has been known to paint worlds filled with color, texture, life, and diversity. Based in Toronto as a character designer and illustrator, her artwork can be found in TV animation, children's books, comics, and social media illustrations. When she is not a busy bee, she can often be found looking for inspiration in vintage fashion, drinking tea with friends, or playing video games.